Before the DualLiner came about, there were three distinct categories of truck bedliners; spray-ons, drop-ins, and rubber mats. Each kind has its pros & cons, as with any product, but overall the truck bed protection industry seemed to be full and your options were clear. I’ve owned many trucks, every truck I have owned has had a bedliner in one form or another; from experience and personal preference I know what I like. Just over 5 years back, a couple of guys noticed a trend of certain types of complaints for each of the three categories, and saw an opportunity. The complaints on the drop-ins where that the cargo slides around and over time they actually scratch your truck’s box. With the spray-ons it was the sliding cargo issue and the sun fade that most experience. With the rubber mat,simply put, it was an incomplete design. No protection for the sidewalls, load guard or tailgate. And with all of these products it was access. If you did not have a local dealer your choices even became more limited. That is what finding a niche is about — locating the holes and filling them with your product. DualLiner addressed these issues. 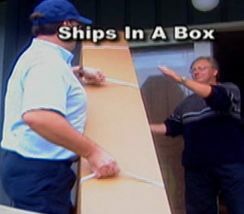 Design also allows it to pack into a box that can be shipped anywhere! 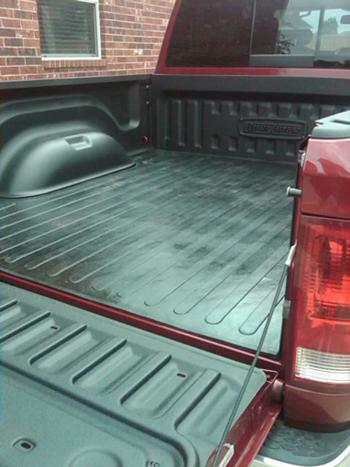 The DualLiner Truck Bed Liner is the only bedliner that ships complete to your door!